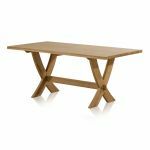 The Crossley 6ft x 3ft Natural Solid Oak Crossed Leg Dining Table features a rustic farmhouse design that will complement modern and traditional homes alike. The two legs at either end actually arc through each other making a solid 'X' shape, which is not only distinctive and aesthetically pleasing, but also incredibly strong. The strength is further supported by a longitudinal solid oak brace, secured at either end with a traditional pegged tenon joint. 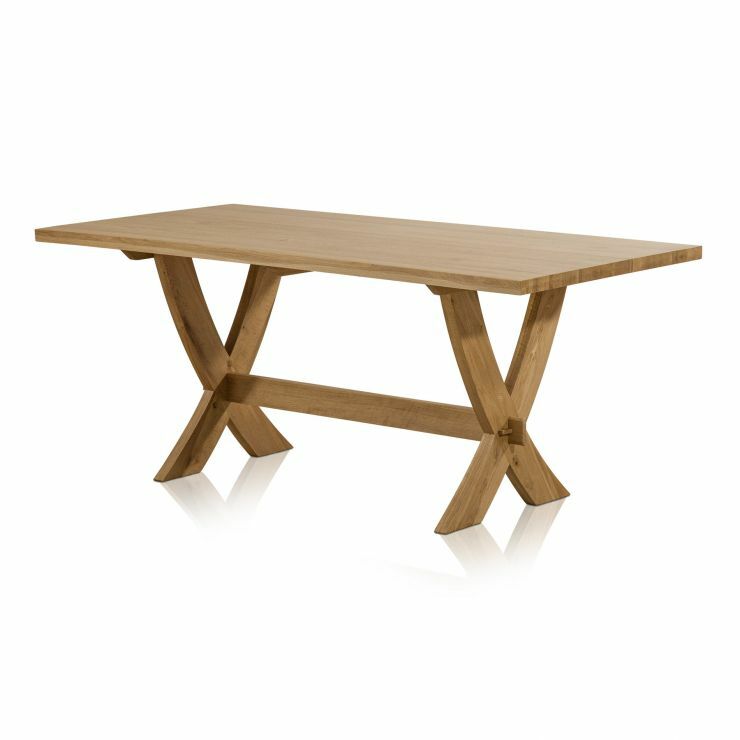 Only the finest solid oak timbers are used to craft this table, which means no veneers, no MDF and no chipboard. To bring out the natural lustre of the oak, the table is finished with a clear wax polish which also creates a long-lasting protective seal. 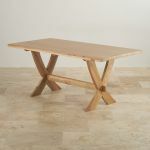 Create your dream dining set today by clicking the 'customise' tab above. Delivery is absolutely free and we offer a seven day money-back guarantee on all items. 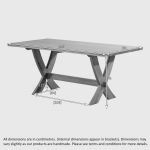 Choose this table with 6 chairs from only £849.00!